The army should follow Xi's command, answer to his order, and never worry him, said the order. Beijing: China's military has been ordered to pledge absolute loyalty to President Xi Jinping while a paramilitary police force now literally sings his praises, further cementing his place as the country's most powerful leader in decades. 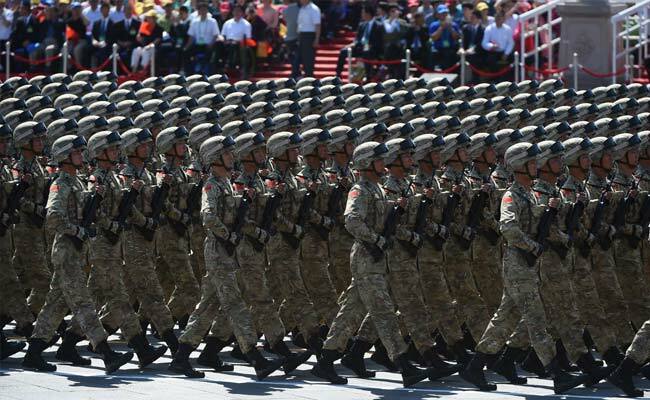 The world's largest armed forces should be "absolutely loyal, honest and reliable to Xi", said a new guideline issued by the Central Military Commission and reported by state news agency Xinhua late Sunday. Xi's political philosophy -- Xi Jinping Thought -- should also guide the strengthening of the military, Xinhua said of the new guideline. For decades China has been governed in an ostensibly collective fashion by the party's elite Politburo Standing Committee. But Xi has increasingly centralised power and looks to be following in the footsteps of revolutionary leader Mao Zedong.